Last summer was a particularly dangerous one for amusement park attendees. USA Today reported on numerous incidents which occurred at amusement parks which resulted in serious and even fatal injuries. With summer a prime time for visits to amusement parks, it is important for those who will be heading out to hit the rides to understand the risk they face while at the park. When an accident at an amusement park does occur and injury or death results, victims need to understand what options they have for holding the amusement park owners and operators accountable for their losses. 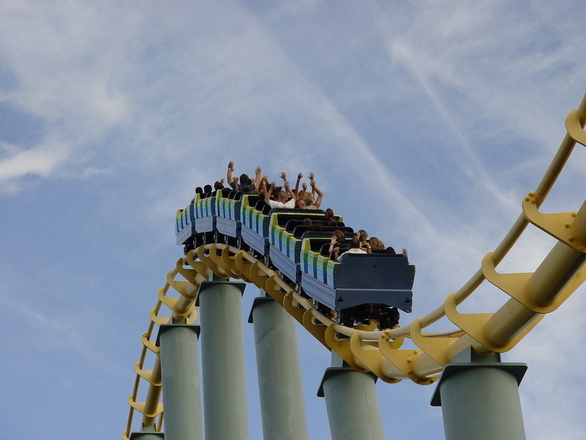 A Boston personal injury lawyer can provide assistance in determining if a case can be made against the amusement park so the victim or his family can obtain monetary damages. Victims should be made whole, which means compensated for both economic and non-financial loss such as loss wages, costs of medical bills and the pain endured as a result of the amusement park accident. As USA Today’s list of tragic accidents at amusement parks shows, accidents can happen in many different ways. One young boy sustained a fatal neck injury while riding on the world’s tallest water slide; three girls were hurt when they fell out of a Ferris wheel at a county fair; and an 11-year-old had her scalp ripped off when her hair became caught in the spinning mechanism of a carnival ride and she was ripped around by the ride for as long as five to 10 minutes. What all of these incidents have in common is they occurred while riding a ride or using equipment at an amusement park. Injuries can also happen in other ways, such as slipping and falling while moving around the amusement park or suffering food poisoning after eating at a concession stand. Amusement park owners have basic obligations to ensure their premises are safe before they open their doors to visitors. This means they must take reasonable precautions to identify hazards, to correct problems which could pose a risk to visitors, and to warn visitors of any dangerous conditions which are likely to increase the risk of injury. Amusement parks, because they invite the public in for commercial purposes, must regularly inspect the premises to make sure they are aware of possible hazards and can take steps to warn visitors about them or correct them. Amusement parks must also comply with all rules and regulations for the safe operation of rides. Amusement parks may try to claim visitors assumed the risk of getting hurt when they engaged in activities like going down water slides or riding rides. However, assumption of the risk isn’t a defense in Massachusetts and even liability waivers will not preclude victims of accidents at amusement parks from obtaining compensation under many circumstances. If the park was negligent or if there were any problems at the park with the rides or facilities, visitors are entitled to be compensated for the injuries caused by the problems as long as the park is found to have failed to fulfill its duty to provide a safe space for the visitors which it invited to come onto its premises.